At Steele Mechanical, LLC Air Conditioning and Heating, our Allentown heating contractors and AC service experts are here to provide for all your comfort needs. Our professionals proudly serve both commercial and residential clients. The one constant in all of our work is our goal to achieve the highest levels of customer satisfaction. When you hire our heating and air conditioning specialists, you are making the best possible choice for your property. Our team has over twenty-five years of experience in the HVAC industry. Our long term success is a direct consequence of the exceptional results we achieve in every project we undertake. We will bring this same dedication to excellence to task for you. Call Steele Mechanical, LLC Air Conditioning and Heating today if you need to hire a professional to conduct heating, air conditioning, or indoor air quality services for you. Our staff is ready to take your call and to answer any questions that you may have. We can schedule your appointment today. Nothing is worse than having an air conditioner break down during the height of the summer. The number one reason that AC units fail is that the owner failed to conduct routine and adequate maintenance. If your air conditioner has not been inspected recently, you should contact our Allentown professionals today. Through our air conditioning tune-up services, we can provide you with a number of amazing benefits. First, we can identify and repair problems before major issues occur. By doing so, we can prevent your air conditioner from failing and can save you money on repair costs. Second, our air conditioning company will conduct services geared toward improving the energy efficiency of your unit. As such, you and your family will enjoy an enhanced level of comfort at a fraction of the cost. Lastly, by preventing damage from occurring and by reducing stress on your air conditioner, we can extend its service life. Postponing the need for a costly replacement is a great way to save money in the long term. Eventually, every furnace needs to be replaced. If your furnace is over ten years old and is in need of heating repairs in Allentown, you should give serious consideration to installing a new system. Our Allentown heating repairs team can help you with this entire project. We can provide you with the advice and information that you need to know in order to choose the best furnace for your unique property and specific comfort needs. 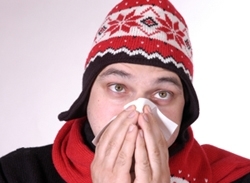 Our professionals can then install your furnace in the most expert fashion. "I am so grateful to Scott Steele. I had an estimate from a “popular” company and I just had this felling that I was being taken advantage of. I called Scott after a friend of mine recommended him and I can’t be happier!!! Thank you for your honesty and hard, very clean, work!! Thank you!!!" "Scott Steele does a great job at a reasonable price! I would recommend anyone who needs installation. 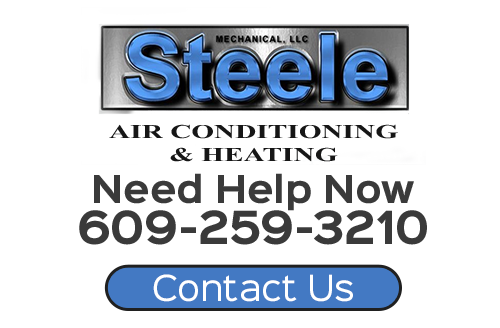 service or repair work to contact Steele Mechanical." If you are looking for a professional Allentown heating contractor or air conditioning company, then please call 609-259-3210 or complete our online request form.